ROBERTS, DENYS KILHAM. Papers of Denys Kilham Roberts. 1.5 ft. Correspondence to and from a British writer of the 1920s and 1930s. MsC828. 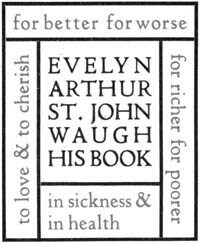 Discussing his publications and those of his correspondents; concerning a BBC program titled "Catchword Songs"; soliciting literary contributions to various publications; encouraging other writers. Roberts compiled and edited numerous poetry anthologies during the 1930s, '40s, and '50s, including the five-volume The Centuries' Poetry (1938-1942). He also served as Secretary of the Society of Authors during the 1940s, and edited Penguin Parade, a showcase of "New stories, poems, etc. by contemporary writers," between 1937 and 1945. At first I was hopeful that Roberts may have solicited a poem from Reed for Penguin Parade, but looking at all the available covers in AbeBooks turns up nothing. A quick look at the bibliography, however, reveals Roberts listed as one of the editors of the journal Orion: A Miscellany, to which Reed contributed twice: his poem "King Mark" (1945), and the essay "Joyce's Progress" (Autumn, 1947). It would seem logical that Reed's correspondence would be in regards to one of, or both of, his Orion appearances. Alas, Iowa provides no dates. (John Travolta's birthday, we note, is actually Feb. 18!) 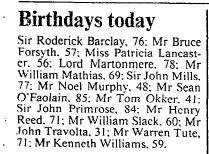 If you're interested in such things, you can see a list of folks born on February 22nd on Wikipedia. For many years before his death in 1955 the diplomatist and statesman Sir Ronald Storrs made an avocation of collecting 50 translations of Horace's Pyrrha ode (Carm. 1.5). His collection, which by 1955 comprised several hundred versions, has since, under the supervision of Sir Charles Tennyson, increased to four hundred and sixty-three. From these Sir Charles has chosen for the present volume sixty-three English translations, twenty French ones, fifteen Spanish, thirteen German, twelve Italian, and twenty-one in other languages, including a Turkish prose version, several in various Slavic and Scandinavian tongues, a distressing Latin rewriting by a seventeenth-century German professor extolling his own connubial felicity, and (to the reviewer) impenetrable renditions into Maltese, Hebrew, Lettish, Hungarian, Finnish, and Welsh. Classical Philology 55, no. 1 (January 1960): 50-52. That, my friends, is what I call a collector. The text contains a total of 144 versions of Horace's famous poem (six of which are from Latin into Latin), from 25 different languages. The French and German versions have been chosen by Mr. Richard Graves, a lifelong friend of Sir Ronald's, who is himself a distinguished translator, and Mr. Henry Reed has very kindly chosen the examples in Italian. Reed, I need not remind you, went to university on a Latin scholarship, and is famous for twisting the words of Horace (Carm. 3.26) for the epigram to "Naming of Parts." I'll be adding Ad Pyrrham to my shortlist of items to track down at the nearest library, at which time I promise to post an updated photograph of my living room. I came across a curious reference this evening, to a "Collection, 1924-1983," with a laundry list of associated names: J.R. Ackerley, Brigid Brophy, Edward Carpenter, Rena Clayphan, G. Lowes Dickinson, George Duthuit, Roy Broadbent Fuller, Sir John Gielgud, Henry Festing Jones, James Kirkup, Francis Henry King, Rosamond Lehmann, Desmond MacCarthy, James MacGibbon, Sean O'Faolain, Sir Herbert Edward Read, Henry Reed, and Vita Sackville-West. But no location, no source, and only a partial title. Obviously the record was uploaded from a library catalog, somewhere. But where? I had a feeling the people on the list had something (or someone) in common, but I couldn't puzzle it out. I searched the Location Register. I searched for library and .edu holdings. And then I suddenly remembered my WarGames, where Lightman (Matthew Broderick) is counseled to "go straight through Falken's Maze," the first game on his list. Ackerley. Joe Ackerley is the first name in the list. Protovision, I have you now. 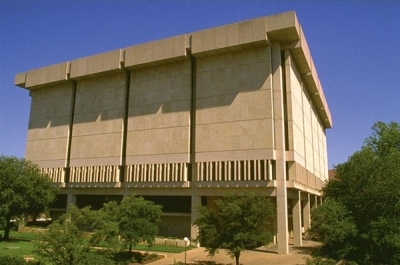 Following the holdings library on WorldCat whisks you into the University of Texas Libraries' catalog record for "Ackerley, J.R., Collection 1924-1983". And there, among the cardboard boxes filled with manila folders and acid-free envelopes, are four letters from Henry Reed to Ackerley, dated from 1937 to 1942. During those years, Ackerley was editing the BBC's magazine, The Listener, where Reed published his first poems. But wait, there's more! Led by the tantalizingly linked author field "Reed, Henry, 1914-1986" in the collection's catalog record, we discover that the Ransom Center's book collection has quite a few editions of Reed's, including signed copies of A Map of Verona originally presented to Ackerley and Edith Sitwell, as well as Evelyn Waugh's personal copy (with bookplate). I can't begin to tell you how marvelous it is that the Texas Libraries thoughtfully provides a "Bookmark Link" feature: static URLs for all their records. The Ransom Center's Ackerley collection isn't detailed in their online finding aids, but at the end of the maze I also turned up a copy of a letter to Reed in the correspondence files for Alfred A. Knopf. A couple of years back, I started using Magnolia to manage my bookmarks for links to Reed-related webpages: news items, library collections, biographies of other poets and writers. Since then, I had created over two hundred bookmarks, with descriptions and associated tags. You probably hadn't heard, but on January 30th of this year, Magnolia suffered a catastrophic loss of user data, and backups. "This is just to say," goes William Carlos Williams, "that I have eaten the plums that were in the icebox and which you were probably saving for breakfast." To their credit, the site has since provided several data-recovery tools, one of which managed to find cached examples of 197 of my bookmarks. The most recent items are still Missing in Action, as it were. This morning I imported my recovered bookmarks into Delicious. You can see the new linkroll in the lower → right-hand ↓ sidebar of this page, under the "Marginalia" heading. I still need to tweak the styles, but it works! Today we have something truly special: Henry Reed's review of Eliot's Four Quartets, from the December 9, 1944 issue of Time & Tide. The article is unsigned, but Reed is identified as the author the following month, in Notes & Queries ("Memorablia," 13 January 1945, p. 1). Reed draws his title from the dedication of The Wasteland, in which Eliot calls Ezra Pound il migglio fabbro, "the better craftsman". Eliot lifted the phrase from Canto 26 of Dante's Purgatorio, wherein the Provençal troubadour Arnaut Daniel is named the best craftsman of the mother tongue. Such high regard for Eliot's craftsmanship could almost be considered ironic, given that Reed won a 1941 New Statesman contest with "Chard Whitlow: Mr. Eliot's Sunday Evening Postscript," a parody which manages to blend the styles and mock the sentiment of both Burnt Norton and East Coker. (When East Coker was published in 1940, the first thing Reed did was post a copy to his former professor, Helen Gardner.) But Reed's skill for imitation only belies a deeper admiration, even worship. In fact, many of the reviewers of Reed's first volume of poetry, in 1946, would accuse him of being too indebted to Eliot. Four Quartets: T.S. Eliot. Faber. 6s. The chestnut pattering to the ground. After the exquisite language of these poems, whatever one tries to say by way of criticism or analysis sounds uncouth. One has also the feeling that one is slightly off the point, because they are poems which can be communicated only in their own words. But since they are difficult and elusive, it is necessary for a critic to say what he thinks they are about. Time is their theme. (That is not quite true, but it is as near as one will get.) They aim at discovering a means of facing time; at discovering an attitude towards time which shall be something different from a subservience to the passing of the years; at discovering a capacity for thinking of the present moment not as a bridge between past and future, but as a point in an eternal pattern. To conquer time we have only one weapon given ustime. And at this point one wonders if one would not do better to say the poems are about life rather than about time. 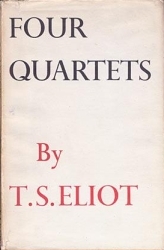 Eliot's examination, or quest, begins simply (so far as he is ever simple) and hesitantly in Burnt Norton with one particular "aspect" of time; the highest complexity and difficulty are reached in the second and third movements of The Dry Salvages; the problem is solved in Little Gidding. The over-all drama of the quest is stressed by the sequence of the four symbols, air, earth, water and fire, which the four poems suggest. The intensity of the poem increases from the quiet of Burnt Norton, through the disturbances of East Coker to the tumult of The Dry Salvages, and relaxes to a final tranquillity at the end of Little Gidding. In each of the separate poems (which all follow the same structural design) there is a separate drama of crescendo and diminuendo. In Burnt Norton we are given a fairly easy exercise in perception: Eliot recalls to us that not uncommon moment when the common sequence of minute after minute seems suspended, when two kinds of consciousness seem to cross. This may happen in a variety of ways; perhaps Proust encountered the same thing when he tasted the madeleine; for Eliot, in this first poem, it is the coincidence of a vision of what is, and a vision of what might have been. What is, is a deserted garden and a drained pool; what might have been, is the shrubberies full of children's voices, and the pool filled with water. Both moments seem equally actual: the double moment of "actuality" is reality, a state we cannot bear for long; it is a moment quickly to be seized and quickly gone, a "hint" of a greater experience. That experience, we are told later, is the intersection of eternity and time at the Incarnation. Woven in the weakness of the changing body. In The Dry Salvages, the themes of eternity and death are announced. The climax of this poem is an echo, one gathers, of Krishna's words to Arjuna in the Gita; but it reminds us also of "Make perfect your will", and of "Take no thought for the harvest, but only of proper sowing." It is an admonishmentsignificant only to the religious man, perhaps, but not beyond the appreciation of othersto live each moment, regardless of past and future, as if it were the moment before death. Or whatever event, this is your real destination. The movement towards the faith of Christianity is already clear; and it becomes clearer still in Little Gidding. At the end of The Dry Salvages, we are told where our duty lies: in "prayer, observance, discipline, thought, and action." In Little Gidding we go to a place where "prayer has been valid", where the Holy Ghost has once descended to flame in men's hearts. In this poem the themes of the earlier poems are resumed and rounded off. We are left with the Christian choice: to be redeemed from the fire of hell by the flame of Pentecost. The fifth movement of this poem is a masterpiece of concentration; in it the poet reminds us, in a way that usually only the allusions of music can, of all he has had to say. Above all, he tells us that what he has to say is not anything new. He has already said in East Coker that all he can do in his poetry is to rediscover what has been found and lost before. That is all one will do in life itself, however, one goes about it.